Steep malts 30 min at 120-150 F. Add extracts and bring to a boil. Add hops at times shown. Ferment for 7 days, then rack into the secondary container and ferment for 7 more days. One note: the temperature was a little cooler than I would have liked for fermenting an ale, I think the yeast contributions would have been a little stronger with higher fermentation temperatures. 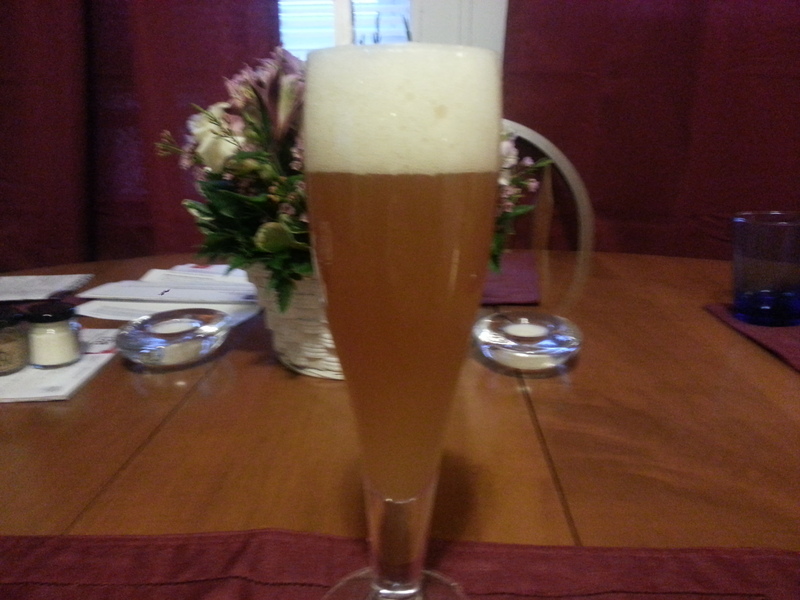 Hoppy Boston Witbier pours a deep orange, cloudy with a large white head (the beer is slightly overcarbonated). The smell starts with some citrus fruit, along with notes of wheat and some esters from the yeast. The beer is light, crisp and easy to drink. The wheat malts add some spicy flavors while the hops give a touch of woodsy pine. The Belgian yeast is present, contributing some mild fruit and pepper . The lemon and orange are also mild, adding some complexity to the overall flavor. The finish is clean with a little lingering spiciness and citrus flavor in the tongue. The beer is perfect for spring and summer, light bodied and easy to drink but still flavorful.